Heterodox Macroeconomics offers a detailed understanding of the foundations of the recent global financial crisis. 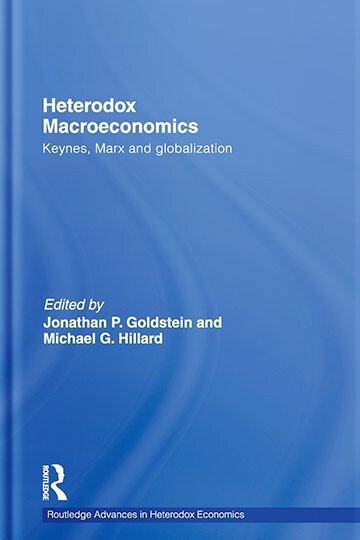 The chapters, from a selection of leading academics in the field of heterodox macroeconomics, carry out a synthesis of heterodox ideas that place financial instability, macroeconomic crisis, rising global inequality and a grasp of the perverse and pernicious qualities of global and domestic macroeconomic policy making since 1980 into a coherent perspective. It familiarizes the reader with the emerging unified theory of heterodox macroeconomics and its applications. The book is divided into four key sections: I) Heterodox Macroeconomics and the Keynes-Marx synthesis; II) Accumulation, Crisis and Instability; III) The Macrodynamics of the Neoliberal Regime; and IV) Heterodox Macroeconomic Policy. The essays include theoretical, international, historical, and country perspectives on financial fragility and macroeconomic instability.